An ethnographic exploration into the increasingly popular world of white collar boxing. Travis Satterlund, a sociologist, spent over a year and a half researching a boxing gym and its participants, toiling alongside gym members, learning the boxing trade, sweating and enjoying the doses of macho from banging heads with fellow pugilists. He learned how to throw a variety of punch combinations; how to defend and parry punches; how to take a punch; he learned of the hard work, commitment, and dedication necessary to become even an average boxer; and, most importantly, he learned about the culture of KO Gym and its members. While expecting to find a gym filled with young, working-class, non-white menlike he saw on television and in movieshe was surprised when he initially arrived at KO Gym. Though there were indeed diverse, young men at the gym who trained seriously for competitions, the place was also filled with white menboth young and middle-agedwho were also training. Moreover, there were a couple of women training, and the two trainers were white, one of whom was a woman. This countered his expectations and piqued his interest. Satterlund wanted to learn about these mostly white boxers that he would later learn were almost entirely middle to upper middle-class. What brought them to the gym? What did they get out of it? Sociologically, what was happening? This book reveals that gym members used the cultural meanings associated with boxing as resources to construct boxing as an activity from which they could derive gendered identity rewards. As such, Satterlund shows how authenticity of the gym was socially constructed to meet these identity rewards and also to resolve these dilemmas. Moreover, while most of the men at the gym had secure middle-class jobs, these jobs were not the primary basis for their feelings of self-worth, especially in relation to their identity as men. In essence, then, the boxing gym offered a means for the men to compensate for their inability to signify power, control, and toughness in their professional lives. 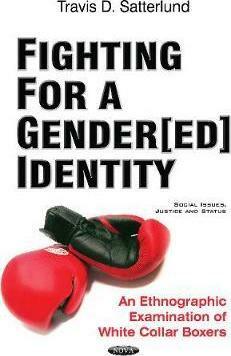 Women also sought identity rewards from boxing and had reasons to want to signify masculine qualities. For them, too, boxing was a way to signify agency and strength. Yet, they also faced dilemmas in seeking to distance themselves from other feminine women without being viewed as too masculine. At the same time, however, social class complicated matters considerably, creating other issues for both the men and the women. Satterlund thus uses the context of KO Gym and its membership to analyse the many nuances of these gender identity-related issues, focusing not only on how social class both disrupts and facilitates how a gendered space is created, but how gender inequalities are created, maintained and reproduced in white collar boxing. Prologue; Introduction; KO Gym, Gender & Masculinity; Constructing an Authentic Boxing Experience; The Symbolic Value of Suffering; Real, but Not Too Real: A Hierarchy of Reality ; Middle-Class Jobs & a Working-Class Sport; The Women of KO Gym; The Gendered World of KO Gym; Emotions & Emotional Control in Sparring; Middle-Class Masculinity at KO Gym: A Compensatory Gender Project; Appendices; Works Cited; Index. Travis Satterlund, Ph.D., JD, is a sociologist with expertise in qualitative research methods. As a NIAAA Ruth L. Kirschstein post-doctoral research fellow at UC Berkeley's School of Public Health, he studied prevention science, research ethics, and methodological and analysis strategies. Dr. Satterlund has been the lead researcher on a number of state and federally funded grants, and has published extensively in peer-reviewed scholarly journals in the field of sociology, public health, and law, including articles in Preventing Chronic Disease, Sociological Perspectives, and Tobacco Control. Dr. Satterlund has also published a book on public school students' rights in the wake of the safe school movement, and teaches sociology courses at Columbia College.